This weekend it was gorgeous in Los Angeles. Here in the land of seventy degrees and sunny, we get spoiled by lovely weather, but this weekend was truly spectacular – flowers, birds, sunshine – springtime spilling forth in all of its glory. 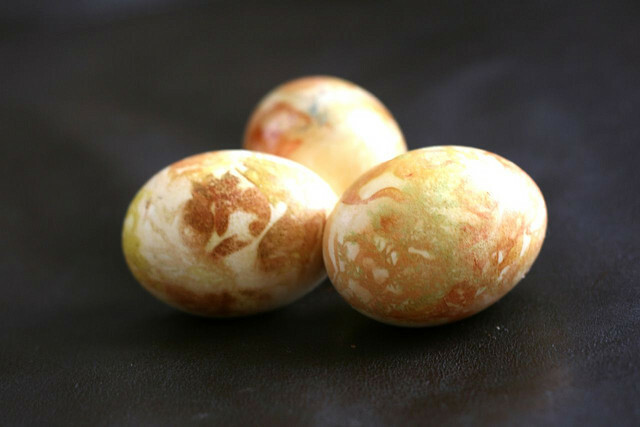 A perfect time to dye Easter eggs. Photo courtesy of the Gamble House in Pasadena, CA. To make them, first you go for a walk. It can be around your neighborhood or your garden or your local park, but the object is to collect plants – leaves with interesting textures, tiny flowers, grasses, bits of this and that. You don’t need much of anything, and it can be as simple as the tiny flowers that grow in the grass, or as gorgeous as a leaf of bougainvillea (if you want to eat the eggs, and you are worried about toxins leeching through the shell, you may also want to take a walk through your kitchen – fresh herbs are berries are lovely sources). You need to also collect onion skins (you can get these by rooting around in the onion bin at the grocery store) in both brown and red, and eggs, of course. Finally, you’ll need some scraps of fabric (I used my fabric scrap bag, but cheesecloth also works) and some thread. Sit down with the products of your foraging, your uncooked eggs and a small bowl of water. 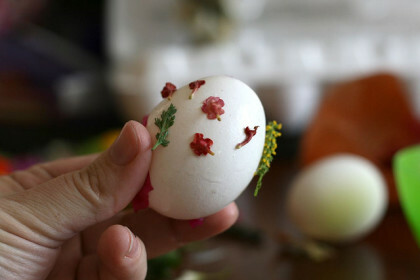 Dip the leaves and flowers in the water – this will help them adhere to the egg. 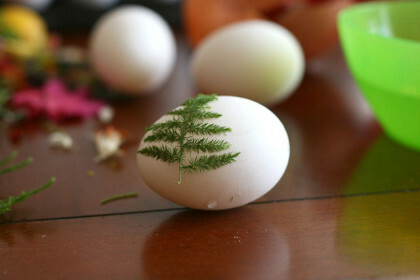 (I never know how things will turn out – each egg is different, and leaves and flowers often yield surprising results). 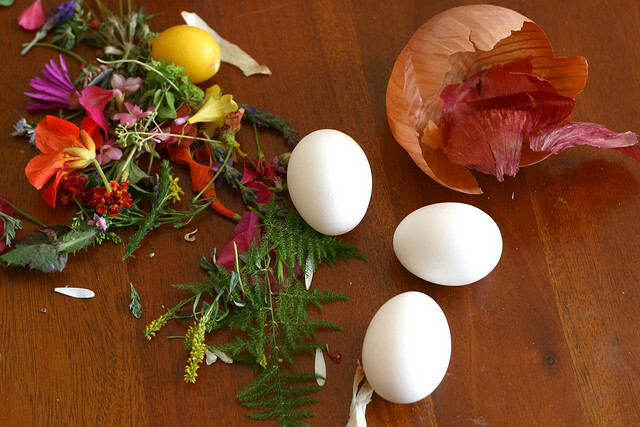 When you’ve arranged the leaves and flowers (I would shy away from aiming for a strict geometric arrangement – things tend to shift and part of the beauty of these is imprecision anyway), dip onion skins in the water and wrap those around the egg as well. 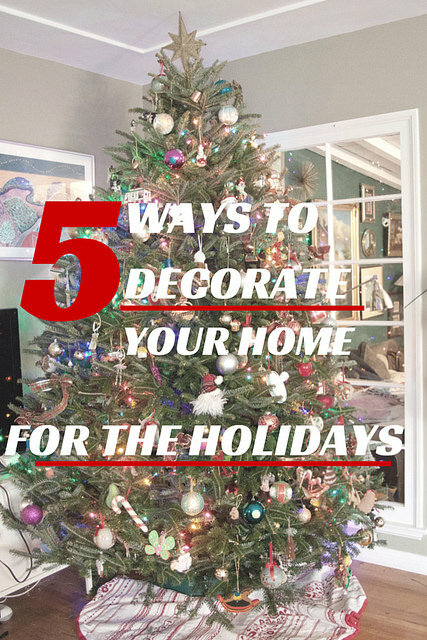 (It doesn’t matter if not every square millimeter of eggshell is covered). 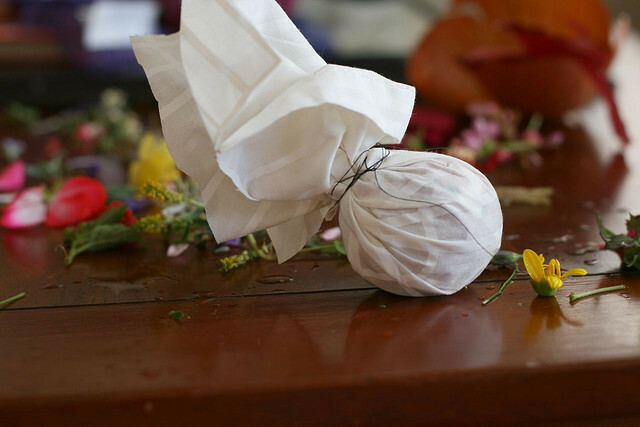 Then wrap your egg in the fabric to hold it together, and tie it with thread to secure. Place the eggs in a pot just large enough to hold all your eggs without a lot of extra space. Fill with water to cover eggs, cover the pot, and bring to a boil. Cook for a total of 15 minutes, then run cold water over the eggs to stop them cooking. 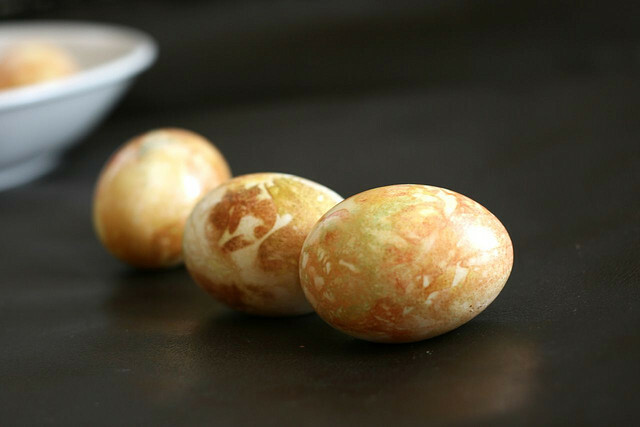 You can wait until the eggs are cool to unwrap them, or if you’re as impatient as I am, you can burn your fingers and unwrap them while they’re still hot. 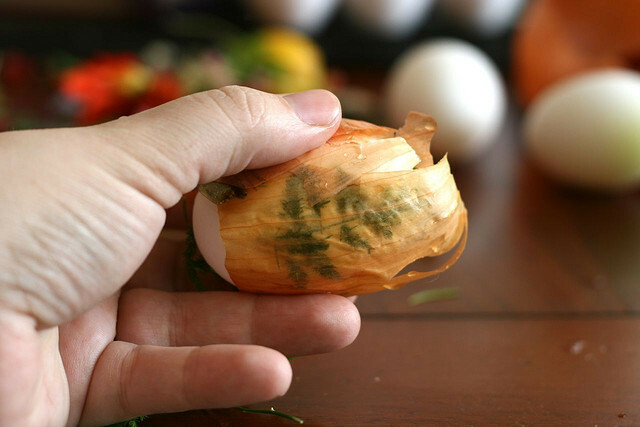 Toss the onion skins and flowers, but you may want to save the fabric scraps and wash them for next year’s eggs. A little bit of springtime in your kitchen. These are very interesting. I am just wondering if i have the patience! Beautiful!!! 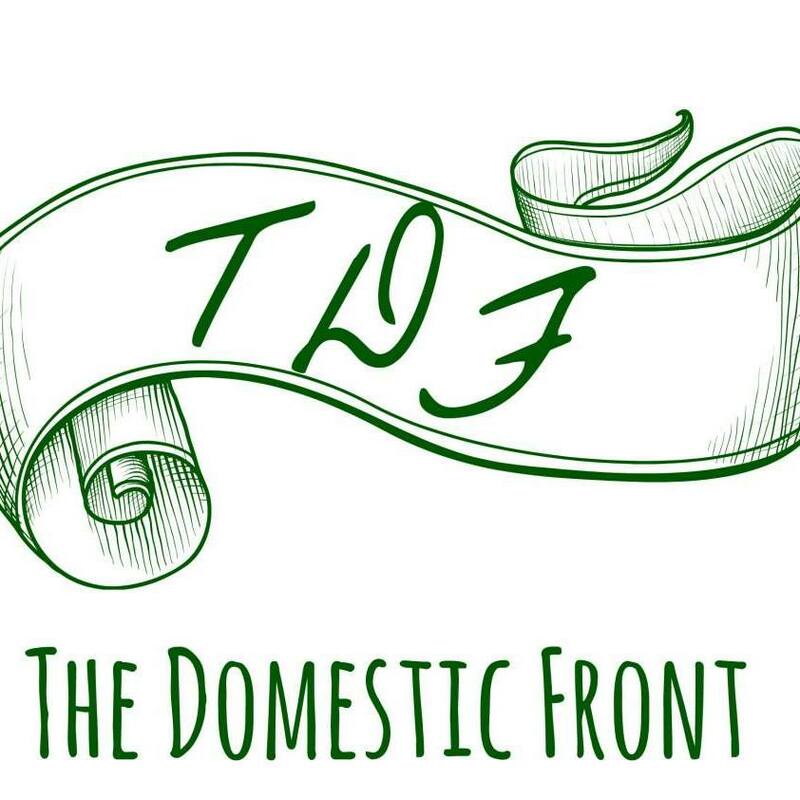 I’m so glad you put this on thedomesticfront. Your great grandmother needs credit. She was a babe. These are beautiful! I will have to give onion skins a try next time. Your instructions are very helpful and clear. Whenever I see the Gamble house I swoon. Such an incredible design. Absolutely gorgeous! Makes me want to make them right now!! Beautiful eggs. I love the rich, warm colors. Incredibly clever. 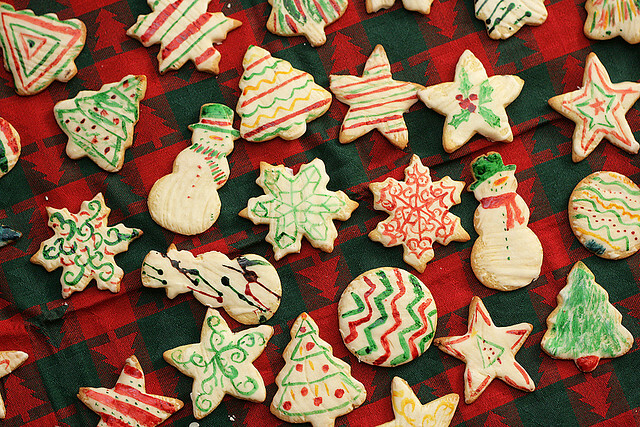 Thank you Caitlin 🙂 I’ve made these with the girls every year……….family tradition. Oh my God, how beautiful this work is. This is my first visit to your blog and I just love it. Lovely! I know my MIL will probably have a PAAS set for the kids to do at their house, but maybe I’ll try these with them on Thursday or Friday.